Another area of knowledge representation research was the problem of common sense reasoning. One of the first realizations from trying to make software that can function with human natural language was that humans regularly draw on an extensive foundation of knowledge about the real world that we simply take for granted but that is not at all obvious to an artificial agent. Basic principles of common sense physics, causality, intentions, etc. An example is the Frame problem, that in an event driven logic there need to be axioms that state things maintain position from one moment to the next unless they are moved by some external force. In order to make a true artificial intelligence agent that can converse with humans using natural language and can process basic statements and questions about the world it is essential to represent this kind of knowledge. One of the most ambitious programs to tackle this problem was Doug Lenat's Cyc project. Cyc established its own Frame language and had large numbers of analysts document various areas of common sense reasoning in that language. The knowledge recorded in Cyc included common sense models of time, causality, physics, intentions, and many others. Knowledge-representation is the field of artificial intelligence that focuses on designing computer representations that capture information about the world that can be used to solve complex problems. The justification for knowledge representation is that conventional procedural code is not the best formalism to use to solve complex problems. Knowledge representation makes complex software easier to define and maintain than procedural code and can be used in expert systems. It is a medium of human expression, i.e., a language in which we say things about the world." Knowledge representation and reasoning are a key enabling technology for the Semantic web. Languages based on the Frame model with automatic classification provide a layer of semantics on top of the existing Internet. Rather than searching via text strings as is typical today it will be possible to define logical queries and find pages that map to those queries. The automated reasoning component in these systems is an engine known as the classifier. Classifiers focus on the subsumption relations in a knowledge base rather than rules. A classifier can infer new classes and dynamically change the ontology as new information becomes available. 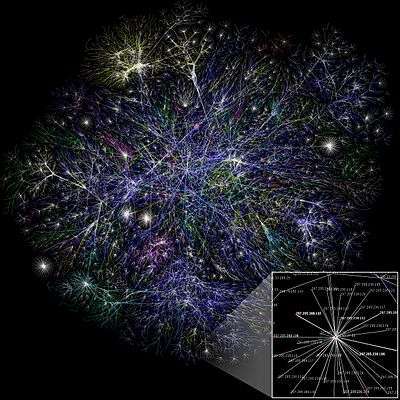 This capability is ideal for the ever changing and evolving information space of the Internet. Primitives. What is the underlying framework used to represent knowledge? Semantic networks were one of the first knowledge representation primitives. Also, data structures and algorithms for general fast search. In this area there is a strong overlap with research in data structures and algorithms in computer science. In early systems the Lisp programming language which was modeled after the lambda calculus was often used as a form of functional knowledge representation. Frames and Rules were the next kind of primitive. Frame languages had various mechanisms for expressing and enforcing constraints on frame data. All data in frames are stored in slots. Slots are analogous to relations in entity-relation modeling and to object properties in object-oriented modeling. Another technique for primitives is to define languages that are modeled after First Order Logic (FOL). The most well known example is Prolog but there are also many special purpose theorem proving environments. These environments can validate logical models and can deduce new theories from existing models. Essentially they automate the process a logician would go through in analyzing a model. Theorem proving technology had some specific practical applications in the areas of software engineering. For example, it is possible to prove that a software program rigidly adheres to a formal logical specification. Meta-Representation. This is also known as the issue of reflection in computer science. It refers to the capability of a formalism to have access to information about its own state. An example would be the meta-object protocol in Smalltalk and CLOS that gives developers run time access to the class objects and enables them to dynamically redefine the structure of the knowledge base even at run time. Meta-representation means the knowledge representation language is itself expressed in that language. For example, in most Frame based environments all frames would be instances of a frame class. That class object can be inspected at run time so that the object can understand and even change its internal structure or the structure of other parts of the model. In rule-based environments the rules were also usually instances of rule classes. Part of the meta protocol for rules were the meta rules that prioritized rule firing. Reasoning Efficiency. This refers to the run time efficiency of the system. The ability of the knowledge base to be updated and the reasoner to develop new inferences in a reasonable period of time. In some ways this is the flip side of expressive adequacy. In general the more powerful a representation, the more it has expressive adequacy, the less efficient its automated reasoning engine will be. Efficiency was often an issue, especially for early applications of knowledge representation technology. They were usually implemented in interpreted environments such as Lisp which were slow compared to more traditional platforms of the time. In the early years of knowledge-based systems the knowledge-bases were fairly small. The knowledge-bases that were meant to actually solve real problems rather than do proof of concept demonstrations needed to focus on well defined problems. So for example, not just medical diagnosis as a whole topic but medical diagnosis of certain kinds of diseases. As knowledge-based technology scaled up the need for larger knowledge bases and for modular knowledge bases that could communicate and integrate with each other became apparent. This gave rise to the discipline of ontology engineering, designing and building large knowledge bases that could be used by multiple projects. One of the leading research projects in this area was the Cyc project. Cyc was an attempt to build a huge encyclopedic knowledge base that would contain not just expert knowledge but common sense knowledge. In designing an artificial intelligence agent it was soon realized that representing common sense knowledge, knowledge that humans simply take for granted, was essential to make an AI that could interact with humans using natural language. Cyc was meant to address this problem. The language they defined was known as CycL. There is a long history of work attempting to build ontologies for a variety of task domains, e.g., an ontology for liquids, the lumped element model widely used in representing electronic circuits (e.g.,), as well as ontologies for time, belief, and even programming itself. Each of these offers a way to see some part of the world. The lumped element model, for instance, suggests that we think of circuits in terms of components with connections between them, with signals flowing instantaneously along the connections. This is a useful view, but not the only possible one. A different ontology arises if we need to attend to the electrodynamics in the device: Here signals propagate at finite speed and an object (like a resistor) that was previously viewed as a single component with an I/O behavior may now have to be thought of as an extended medium through which an electromagnetic wave flows. The INTERNIST example also demonstrates that there is significant and unavoidable ontological commitment even at the level of the familiar representation technologies. Logic, rules, frames, etc., each embody a viewpoint on the kinds of things that are important in the world. Logic, for instance, involves a commitment to viewing the world in terms of individual entities and relations between them. Rule-based systems view the world in terms of attribute-object-value triples and the rules of plausible inference that connect them, while frames have us thinking in terms of prototypical objects. Each of these thus supplies its own view of what is important to attend to, and each suggests, conversely, that anything not easily seen in those terms may be ignored. This is of course not guaranteed to be correct, since anything ignored may later prove to be relevant. But the task is hopeless in principle—every representation ignores something about the world—hence the best we can do is start with a good guess. The existing representation technologies supply one set of guesses about what to attend to and what to ignore. Selecting any of them thus involves a degree of ontological commitment: the selection will have a significant impact on our perception of and approach to the task, and on our perception of the world being modeled. The ontologic commitment of a representation thus begins at the level of the representation technologies and accumulates from there. Additional layers of commitment are made as the technology is put to work. The use of frame-like structures in INTERNIST offers an illustrative example. At the most fundamental level, the decision to view diagnosis in terms of frames suggests thinking in terms of prototypes, defaults, and a taxonomic hierarchy. But prototypes of what, and how shall the taxonomy be organized? The knowledge base underlying the INTERNIST system is composed of two basic types of elements: disease entities and manifestations.... [It] also contains a...hierarchy of disease categories, organized primarily around the concept of organ systems, having at the top level such categories as "liver disease," "kidney disease," etc. The prototypes are thus intended to capture prototypical diseases (e.g., a "classic case" of a disease), and they will be organized in a taxonomy indexed around organ systems. This is a sensible and intuitive set of choices but clearly not the only way to apply frames to the task; hence it is another layer of ontological commitment. At the third (and in this case final) layer, this set of choices is instantiated: which diseases will be included and in which branches of the hierarchy will they appear? Ontologic questions that arise even at this level can be quite fundamental. Consider for example determining which of the following are to be considered diseases (i.e., abnormal states requiring cure): alcoholism, back pain, and chronic fatigue syndrome. The ontologic commitment here is sufficiently obvious and sufficiently important that it is often a subject of debate in the field itself, quite independent of building automated reasoners. Similar sorts of decisions have to be made with all the representation technologies, because each of them supplies only a first order guess about how to see the world: they offer a way of seeing but don't indicate how to instantiate that view. As frames suggest prototypes and taxonomies but do not tell us which things to select as prototypes, rules suggest thinking in terms of plausible inferences, but don't tell us which plausible inferences to attend to. Similarly logic tells us to view the world in terms of individuals and relations, but does not specify which individuals and relations to use. Commitment to a particular view of the world thus starts with the choice of a representation technology, and accumulates as subsequent choices are made about how to see the world in those terms. ↑ Berners-Lee, Tim; James Hendler; Ora Lassila (May 17, 2001). "The Semantic Web A new form of Web content that is meaningful to computers will unleash a revolution of new possibilities". Scientific American. 284: 34–43. doi:10.1038/scientificamerican0501-34. ↑ Levesque, Hector; Ronald Brachman (1985). "A Fundamental Tradeoff in Knowledge Representation and Reasoning". In Ronald Brachman and Hector J. Levesque. Reading in Knowledge Representation. Morgan Kaufmann. p. 49. ISBN 0-934613-01-X. The good news in reducing KR service to theorem proving is that we now have a very clear, very specific notion of what the KR system should do; the bad new is that it is also clear that the services can not be provided... deciding whether or not a sentence in FOL is a theorem... is unsolvable. ↑ Macgregor, Robert (August 13, 1999). "Retrospective on Loom". isi.edu. Information Sciences Institute. Retrieved 10 December 2013. ↑ Levesque, Hector; Ronald Brachman (1985). "A Fundamental Tradeoff in Knowledge Representation and Reasoning". In Ronald Brachman and Hector J. Levesque. Reading in Knowledge Representation. Morgan Kaufmann. pp. 41–70. ISBN 0-934613-01-X. ↑ Pople H, Heuristic methods for imposing structure on ill-structured problems, in AI in Medicine, Szolovits (ed. ), AAAS Symposium 51, Boulder: Westview Press.